For all this talk about right and wrong, good and evil, the law seems to have some pretty elaborate ways of keeping the bad guys in check. It's not that we want to get political, it's just that it's not enough to throw on a jumpsuit or some striped pajamas if you want to look dangerous. 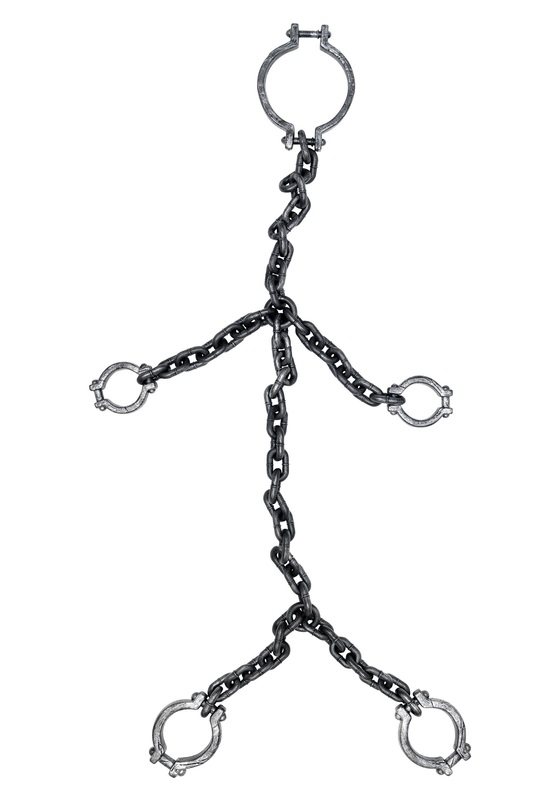 You need something like these heavy-looking Convict Chains to complete the illusion. Nothing personal, but there are a lot of criminals out there who get locked up for wimpy violations like tax evasion or letting the lawn get a little untidy. 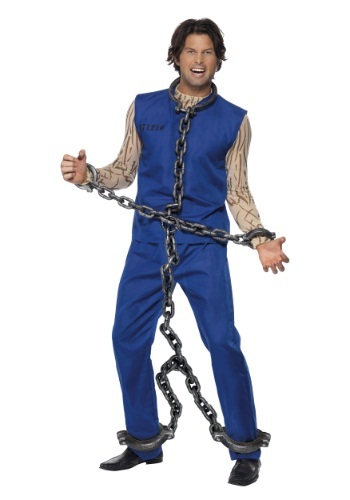 So if you want people to believe you're capable of some truly terrible things, you'll want to look like you warranted the thickest set of shackles in the state. Of course, real criminals don't get a lot of input on how they're incarcerated, so we recommend sticking to plastic manacles and imaginary crimes instead of turning to the real thing.